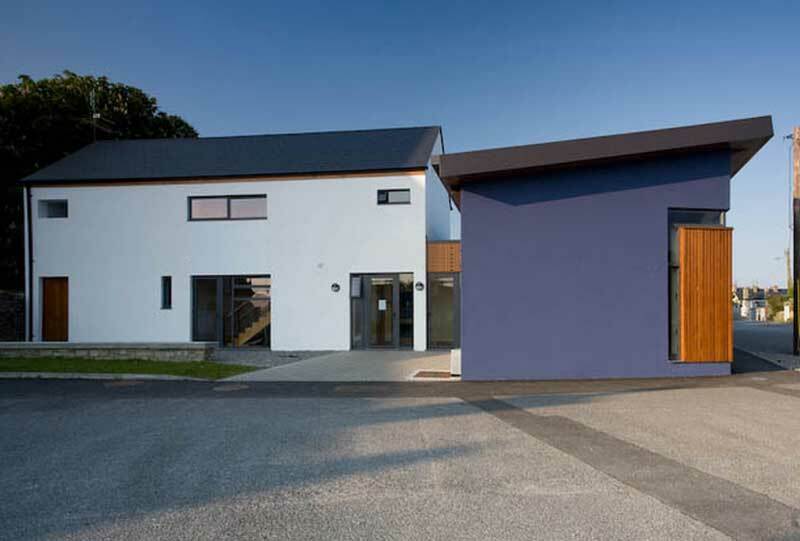 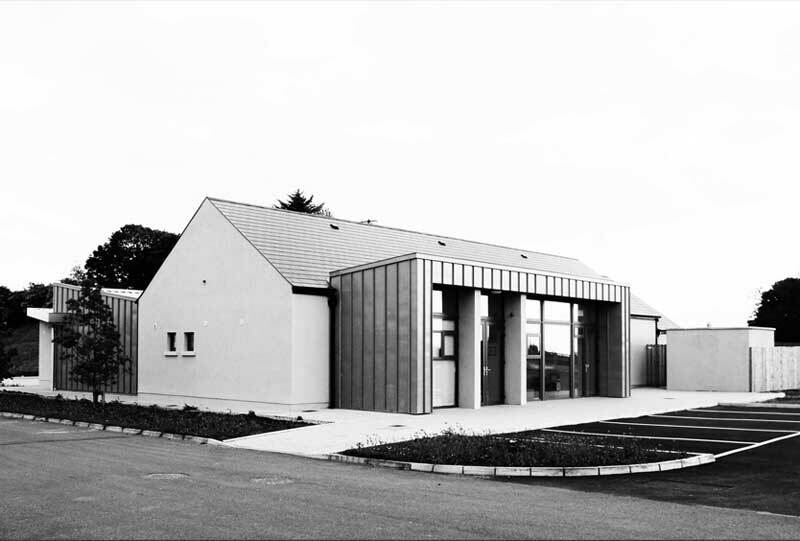 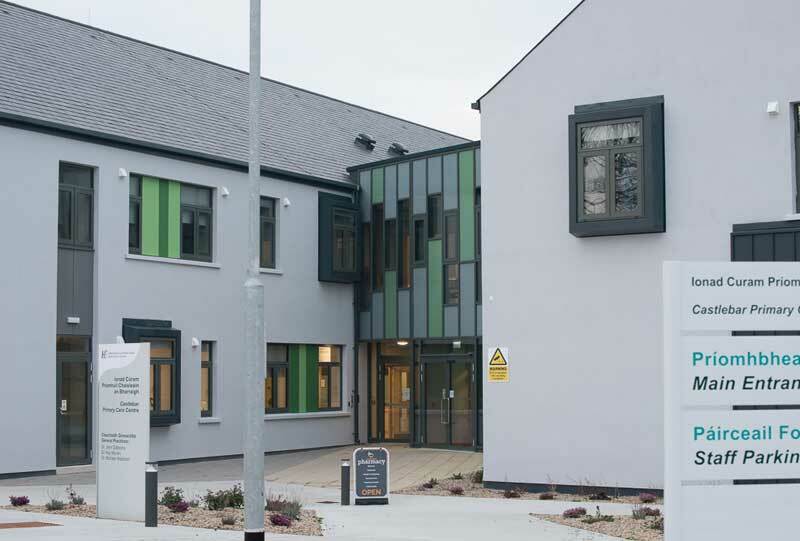 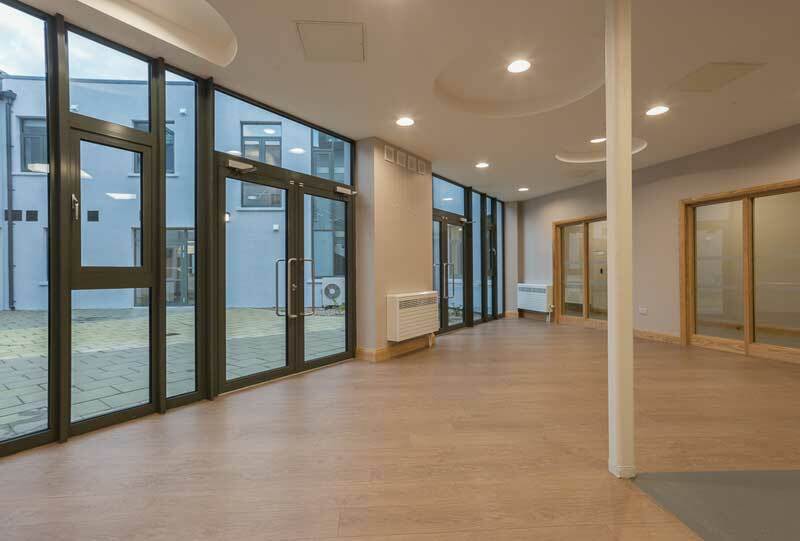 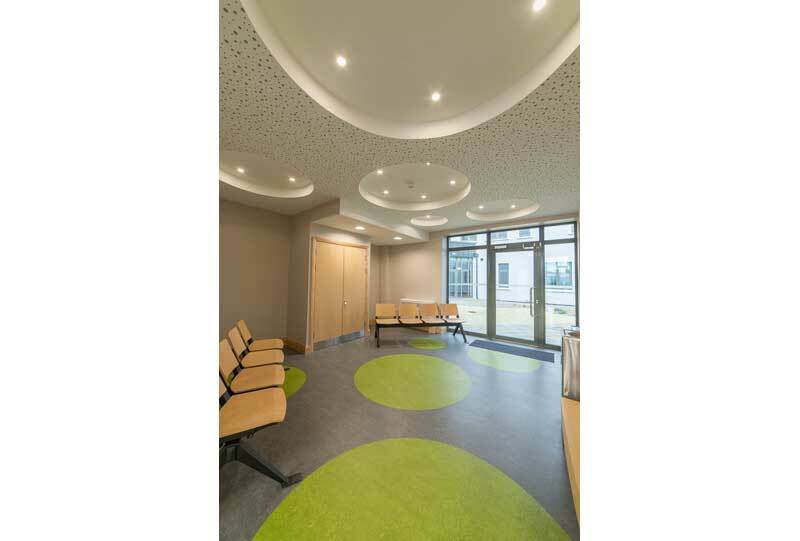 Abbeyalainn Primary Care Centre opened its doors in 2016. 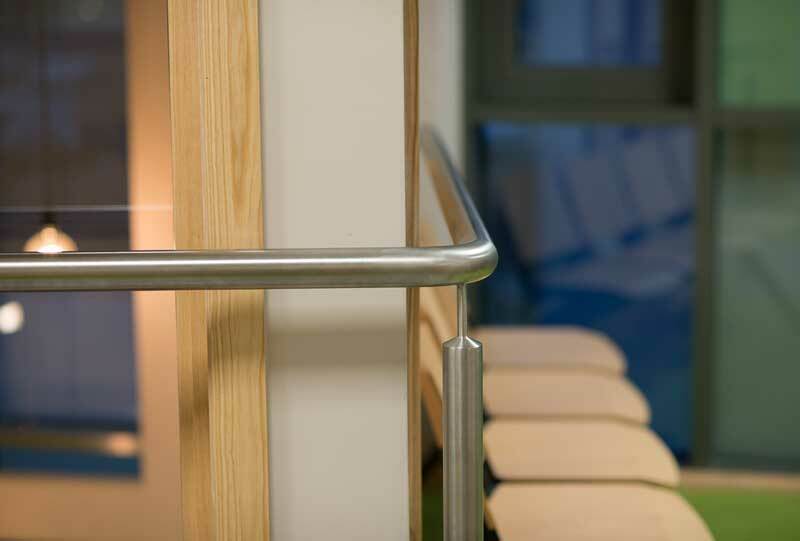 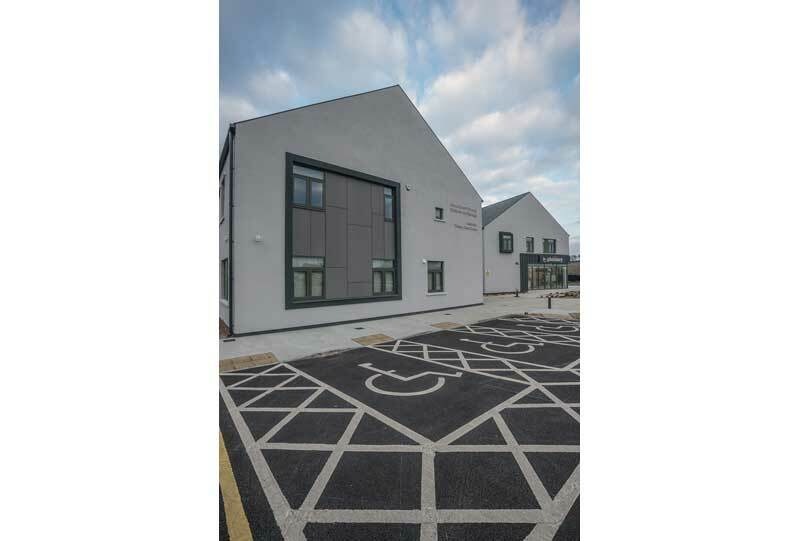 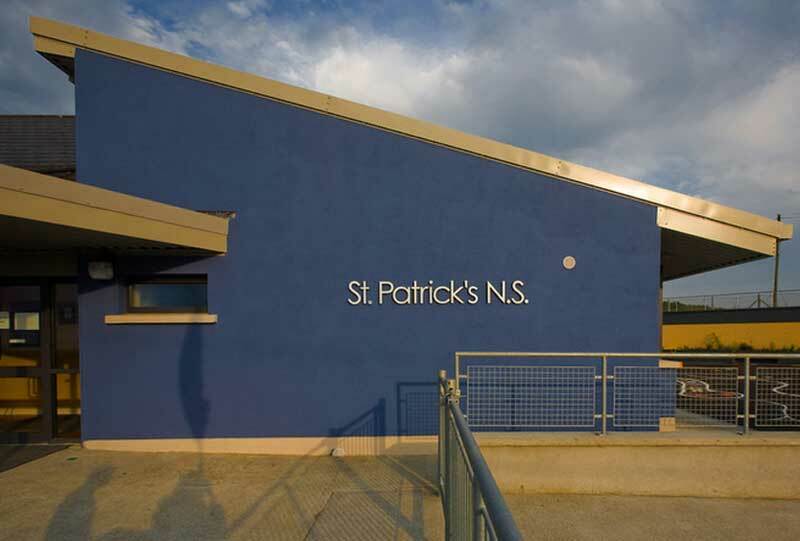 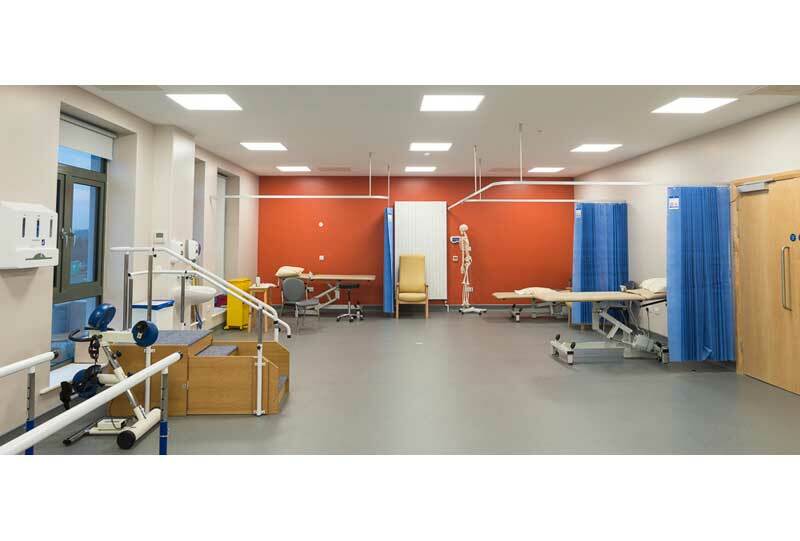 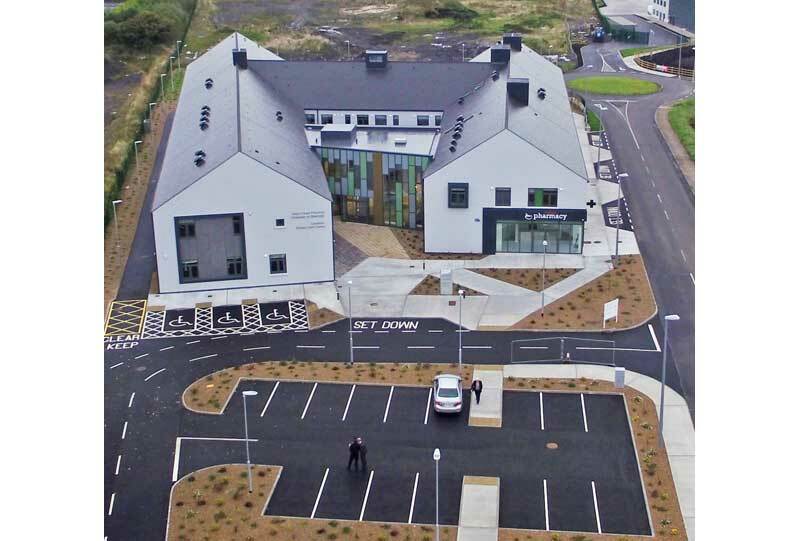 The two storey building is home to a significant healthcare facility including GP practices, Community Mental Health services, public health nurses, physiotherapy and occupational therapy services and dental services. 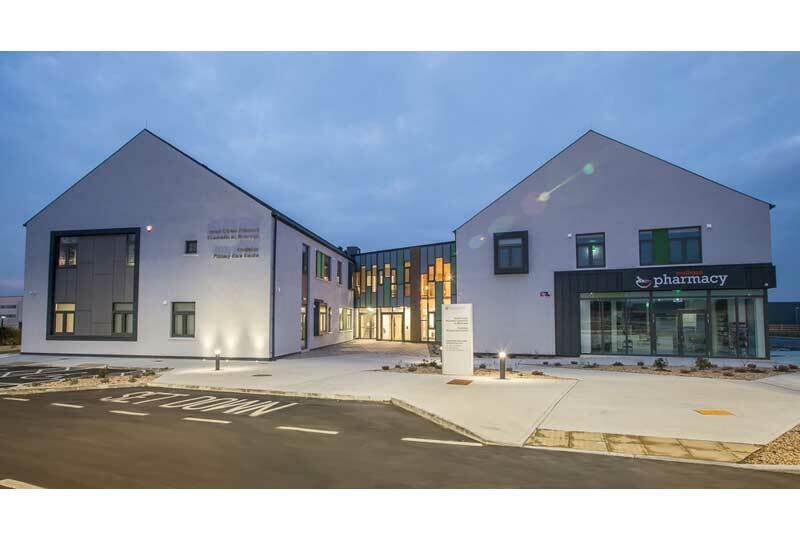 There are also conference facilities, a café and a pharmacy housed within the building. 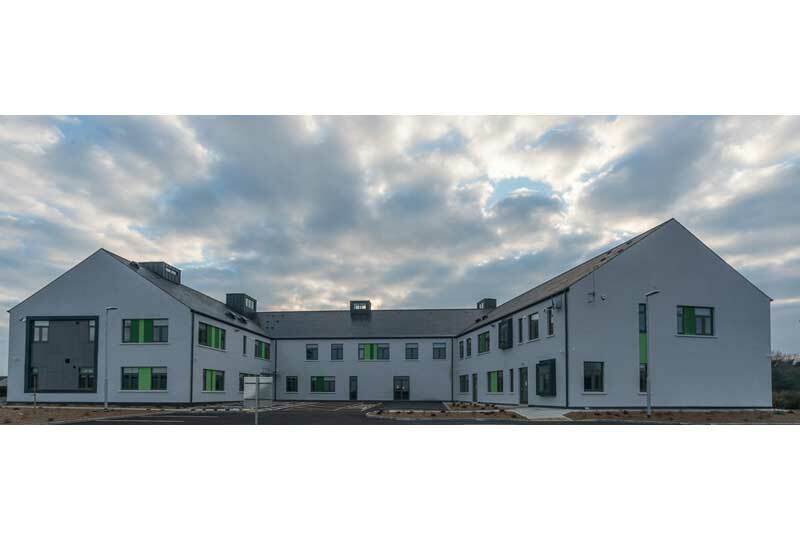 The building comprises two main wings and two cross wings, forming a central courtyard. 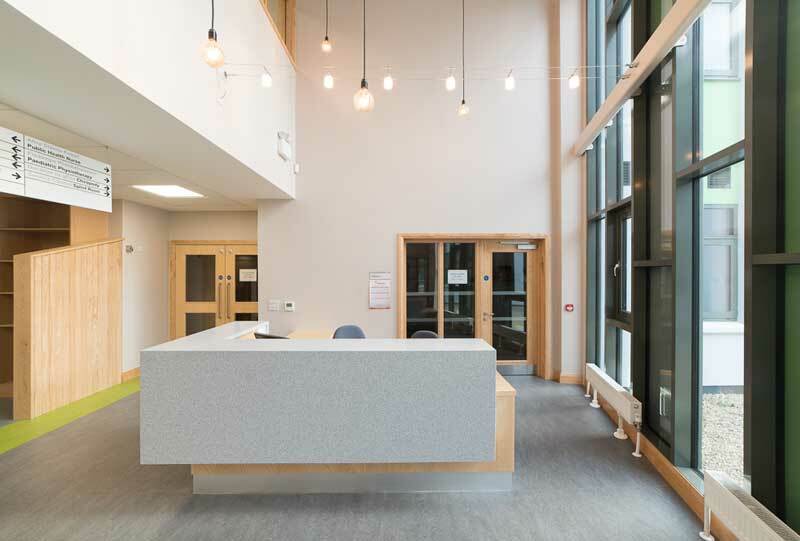 The impressive double height reception area has a distinctive glass façade, linking the two main wings. 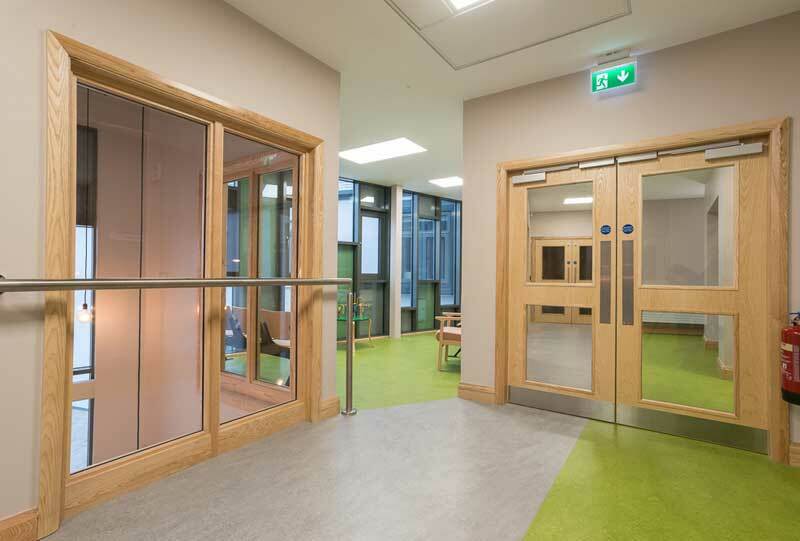 Natural daylight penetrates the entire ground floor circulation routes through the courtyard. 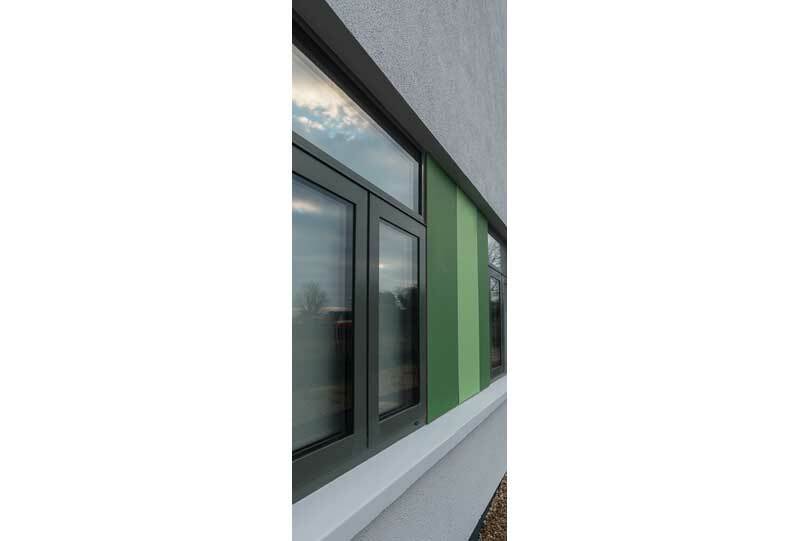 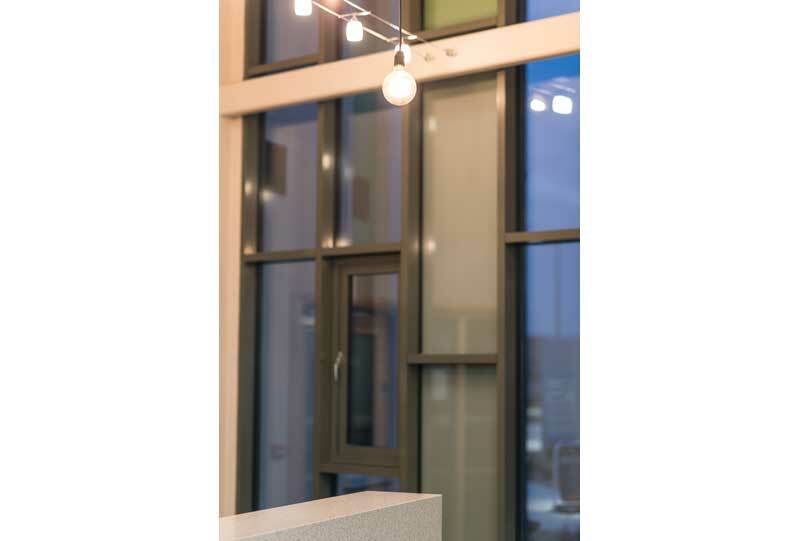 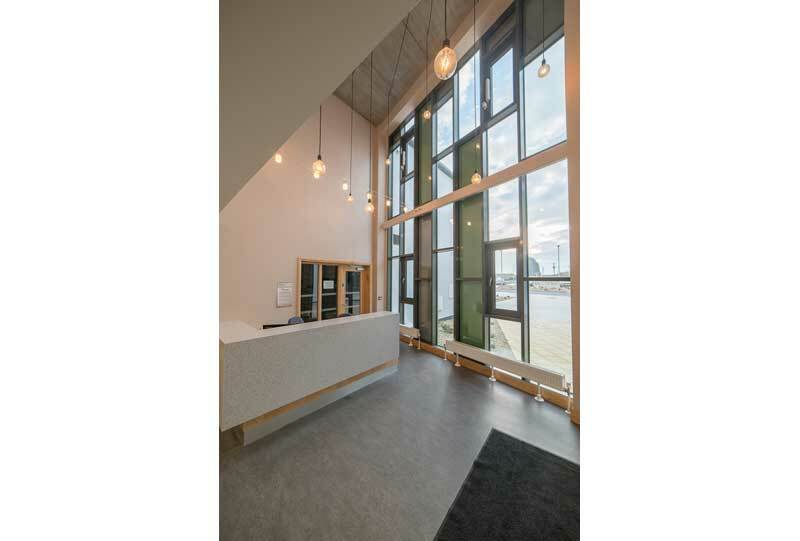 The building uses green and grey fibre cement cladding to break up the long elevations, and daylight is brought down into the first floor circulation routes through zinc clad light tunnels.